Facilities managers and safety officers have a duty of care to minimise health and safety risks in the workplace. Harry Filer looks at how digital signage can help in reducing accidents and also play a positive role in workplace and visitor communications. The Health and Safety Regulations 1996 lays down minimum requirements for safety signs, wherever there is a risk that cannot be eradicated by other means. More recently, emerging European legislation in the form of a new EN ISO standard (BSEN 7010) has been introduced, further strengthening the rules governing workplace safety. 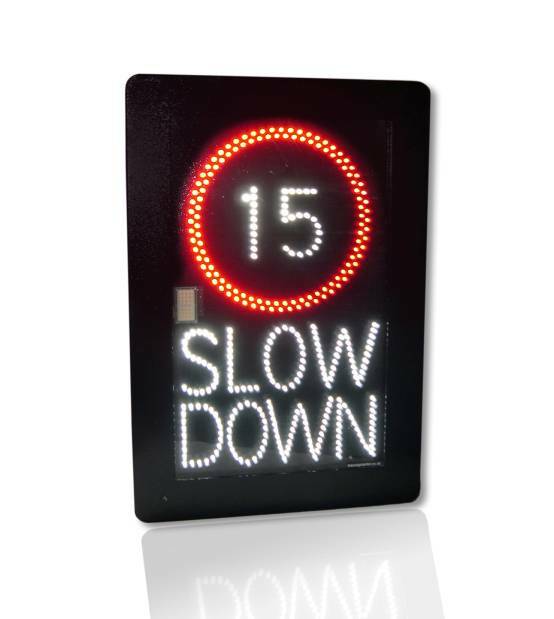 While the requirements of the legislation may be met by the deployment of static signs, digital displays may prove a more economic and effective solution to accident prevention. Health and safety signage is not designed to replace safe working practices or physical controls. However, selectively placed displays can be helpful in raising the general safety consciousness of employees and visitors acting as a timely reminder to wear the correct protective equipment or to take care when moving around. In addition, sign boards are useful in drawing immediate attention to prohibitions in restricted areas. Employers are required by law to do all they can to ensure the personal safety of staff and temporary visitors on site, as well as to minimise risk at facilities accessed by the general public. With the wide range of traditional signage options to include printed output, why should you consider moving up to digital displays? A key advantage of digital displays is their immediacy. Important health and safety announcements following internal policy changes or legislation updates can be programmed in easily via PC for broadcast to a single sign or multiple site locations, disseminating information quickly while extending reach. There are financial savings too. By eliminating the cost of updating static signs and printed display materials, the investment in digital signs can be recouped reasonably quickly. At the same time, moving over to digital signs will open up new communications opportunities. From a safety viewpoint, regularly changing the content of digital displays to maintain attention, compared to static signs, which tend to blend into the background after a while and are largely overlooked. Ringing the changes needn’t involve uploading fresh graphics and video all the time. Being able to programme in a set of messages which will display in sequence is enough to increase visibility, while adding versatility and flexibility to single sign installations. Perhaps one of the most interesting aspects of digital displays is the way in which the signs can be used to inform and engage internal audiences. In high traffic environments where there are risk from moving equipment or vehicles – such as recycling depots, loading or transport facilities, refineries and construction sites – visual display of accident records help reinforce commitment to overall goals as well as presenting a positive view to the public and senior management. In addition to helping to reprogramme and reward individual behaviours, the signs can be used to create a community, acting as an ‘intranet’ for non-office workers. Variable messaging capabilities and easy reprogramming make it easy to include announcements about forthcoming events and notable staff news. New developments include streaming news from the Internet and even the potential to add a Twitter feed. 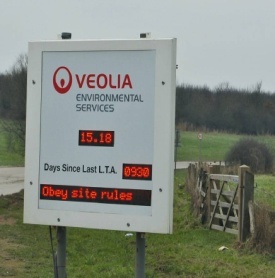 The addition of personal or company specific information increases the likelihood of employees keeping a regular check on signs, helping to communicate vital health and safety messages. With the latest technology advances offering increased flexibility while driving down the cost of purchase, digital displays for health and safety applications are definitely worth a second look.